Jose Gimenez hopes to be able to play alongside Diego Godin at Atletico Madrid for a long time as the veteran defender continues to be linked with Inter. 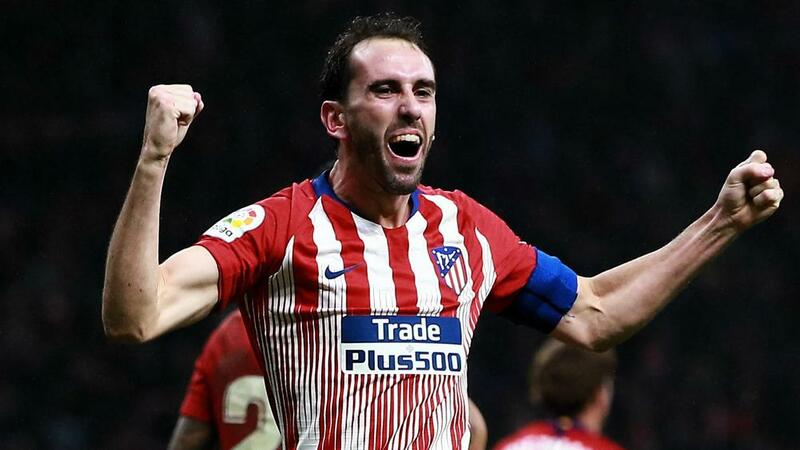 Godin is out of contract at the end of the season and the Uruguay centre-back has been tipped to join Serie A outfit Inter in July. The 32-year-old, who turned down a move to Premier League giants Manchester United at the start of the campaign, has called Atletico home since arriving from LaLiga rivals Villarreal in 2010. And Gimenez wants international and club team-mate Godin to remain in the Spanish capital. "There is a lot of talk of team-mates and I want everyone to do well in their careers," Gimenez said following Atletico's 1-1 draw at Girona in the first leg of their Copa del Rey last-16 tie on Wednesday. "But I want them with me because they are great players and we need them. "I hope everyone stays, I love them all personally. The club also loves them and will do their best for everyone. I hope Diego is my partner for a long time."